ASTANA – Green Station, a 5.5 million tenge (US$14,630) reception point for secondary raw materials, opened Sept. 11 in the Baikonur district of the capital, reported the press service of the mayor’s office. Recyclable materials will be collected, sorted and then sent to waste processing plants. 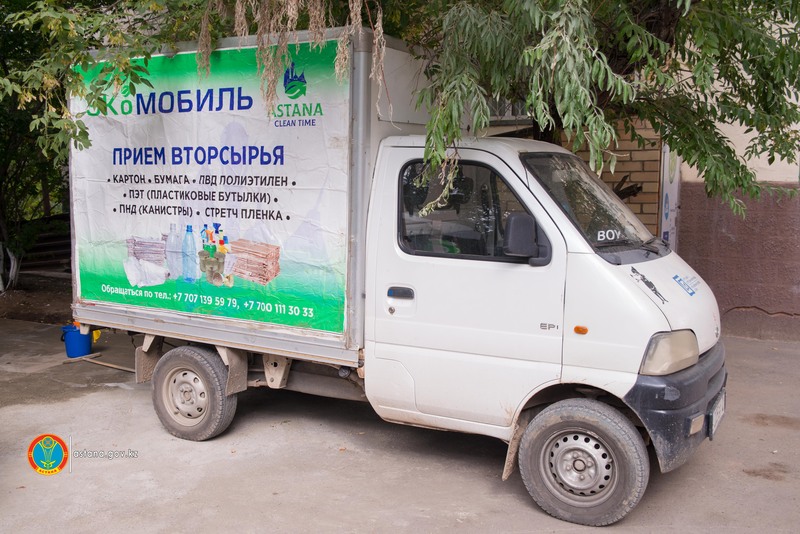 The centre, operated by Astana Clean Time at 2/2 Kravtsov Street, expects to collect 500 kilogrammes of materials including 11 types of raw materials daily and 15,000 kilogrammes per month. Residents will be paid for their recyclables and two more reception points will be opened in the city by the end of the year. Company representatives feel the centre will encourage people to separate waste collection through material motivation and promote an ecological and environmental culture. “Kazakhstan has an upper-middle income status in terms of GDP per capita… We need to adjust the waste management system to our welfare state. 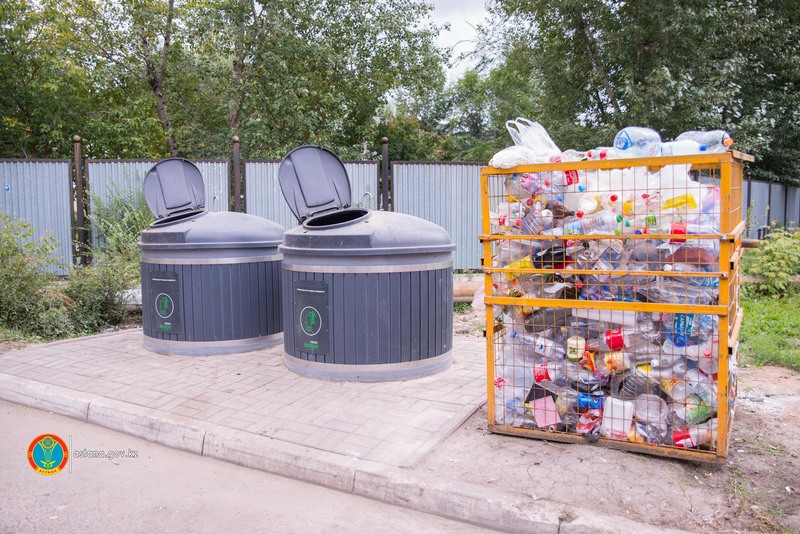 We need to raise awareness and promote separate waste collection,” said Kazakhstan Waste Management Association Executive Director Vera Mustafina. Waste can be collected in special containers and reception points, which are aimed at different audiences. “People who are always busy and do not have time to collect waste prefer to use containers. Another group of people will hand over the recyclables at the points of reception,” she added. Residents can bring items including waste paper, polyethylene, stretch film, PET bottles, household appliance glass containers and bottles, and waste aluminium cans. The price for one kilogramme of waste varies from five to 100 tenge (US$0.013-0.27). The most expensive recyclable material is waste aluminium can. 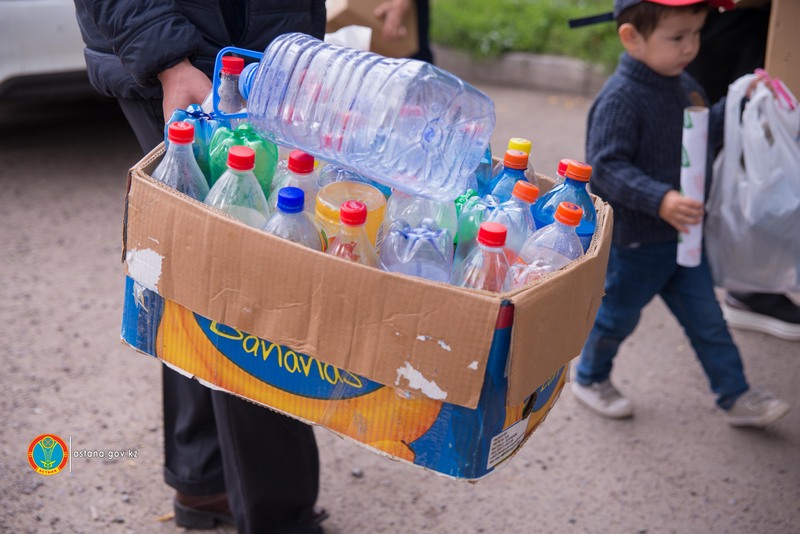 Transparent and coloured polyethylene pay 70 tenge (US$0.19) per kilogramme; bottles, 3 tenge (US$0.008) each. Plastic, glass and paper are the main recyclable materials. Manual and mechanical techniques will be used to sort the items for effective recycling, as sorting is one of the most important ways to ensure good raw material use. “Waste paper is a strategic resource. We do not have forests on our area and we buy expensive pulp from other countries, particularly Russia. People should bring cardboard and paper. 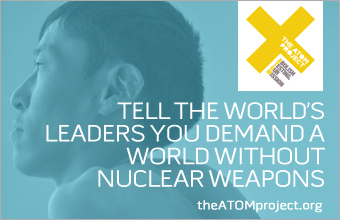 They can be recycled several times and leave a minimum of waste,” said Mustafina. The company also launched nine collection points this year intended for household waste and 31 additional points will be opened by the end of 2018.